The Learning and Re-Engagement Centre is designed for Grade 10 students who would benefit from a flexible learning environment and a unique high school experience. By exploring their interests and being supported through individualized instruction, students have the opportunity to re-engage in their education. At the Learning and Re-Engagement Centre, we take a holistic approach to education and work to understand and meet the complete educational needs of each student. Flexible, one-on-one or small group learning sessions replace traditional classroom structures. Emphasis on relationship building and high academic performance cultivates responsibility, ownership, and active learning. Individual attention and a flexible-area work environment create an inclusive learning community. School leadership and support teams at the student's home high school will apply for student admission. Students may also apply directly to the program. Acceptance to the program may involve consultations with students, caregivers, home school teachers, administrators, and outside agencies. 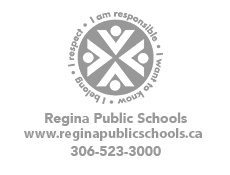 The RPS Learning and Re-Engagement Centre is located at Scott Collegiate in the new mâmawêyatitân centre (3355 6th Ave.). Transportation options are available. For more information, contact the Learning and Re-Engagement Centre at (306) 523-3500.